For decades, solar power has been dogged by two undeniable problems that have prevented it from replacing fossil fuels as our primary means of energy. The first has to do the cost of producing and installing solar cells, which until recently remained punitively. The second has to do with efficiency, in that conventional photovoltaic cells remained inefficient as far as most cost per watt analyses went. 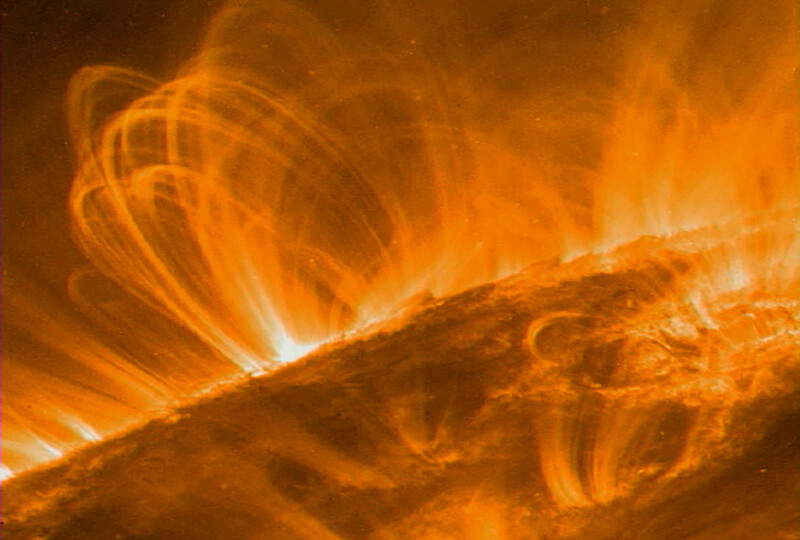 But thanks to a series of developments, solar power has been beating the odds on both fronts and coming down in price. However, to most people, it was unclear exactly how far it had come down in price. And thanks to a story recently published in The Economist, which comes complete with a helpful infographic, we are now able to see firsthand the progress that’s been made. To call it astounding would be an understatement; and for the keen observer, a certain pattern is certainly discernible. 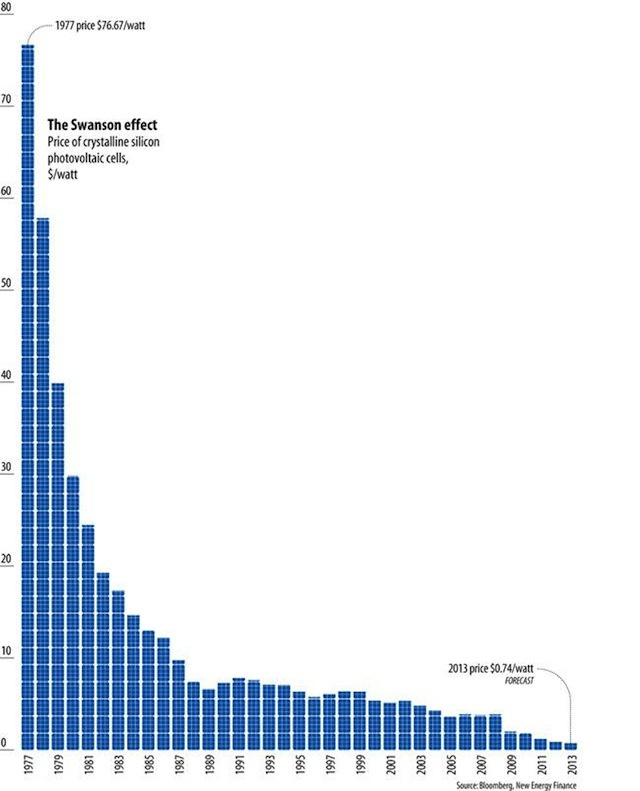 It’s known as the “Swanson Effect” (or Swanson’s Law), a theory that suggests that the cost of the photovoltaic cells needed to generate solar power falls by 20% with each doubling of global manufacturing capacity. 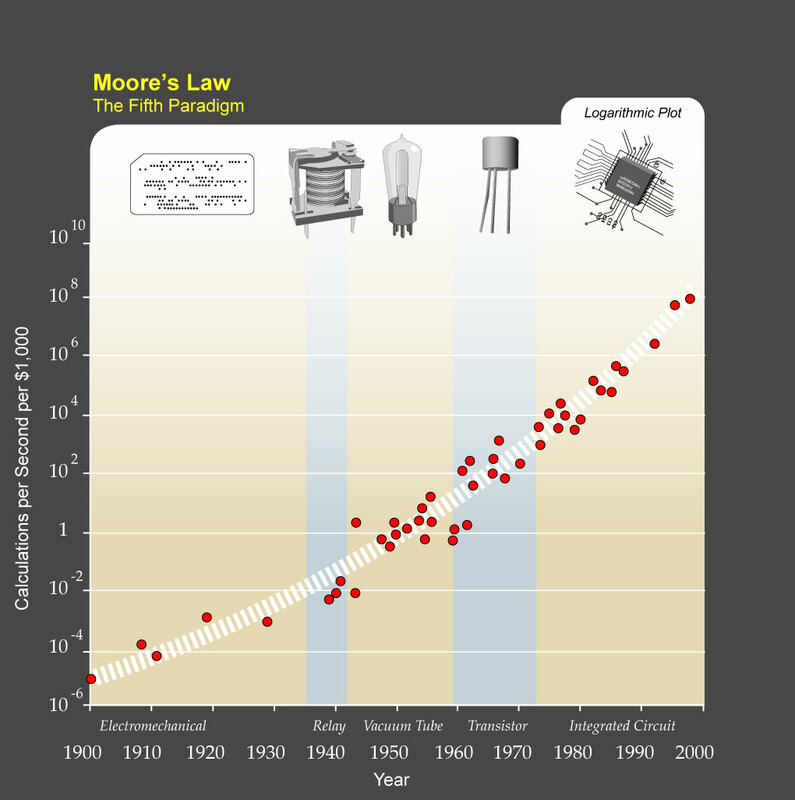 Named after Richard Swanson, the founder of the major American solar-cell manufacturer named SunPower, this law is basically an imitation of Moore’s Law, which states that every 18 months or so, the size of transistors (and also their cost) halves. What this means, in effect, is that in solar-rich areas of the world, solar power can now compete with gas and coal without the need for clean energy subsidies. As it stands, solar energy still accounts for only a quarter of a percent of the planet’s electricity needs. But when you consider that this represents a 86% increase over last year and prices shall continue to drop, you begin to see a very trend in the making. What this really means is that within a few decades time, alternative energy won’t be so alternative anymore. Alongside such growth made in wind power, tidal harnesses, and piezoelectric bacterias and kinetic energy generators, fossil fuels, natural gas and coal will soon be the “alternatives” to cheap, abundant and renewable energy. Combined with advances being made in carbon capture and electric/hydrogen fuel cell technology, perhaps all will arrive in time to stave off environmental collapse! New Podcast Series: Space Stations! Eyes on the Sky: The X-51A Goes Hypersonic!